Just beat Rustboro's gym and everything is the same except that Muddy is now a Marshtomp and is Lv 16. Ok, i have really eddited the rules to make this even harder. 1) your battle party is up to two pokemon. 2) you can use items in battle. 4) if you do ot nickname, they cannot battle. Updated, again. Just climbed Mt. Pyre. Electrike - Stratos Lvl.24 (I forgot. Might edit after i remembered). Ahhh what the heck, ill do this on fired red, i need to catch raikou anyways. -You can only buy pokeballs and nothin else. -If your whole party faints, and ya go through the whole thing with nurse joy- counts as game over and resest- no pokemon go to "death" box. -cant catch evos, must only catch only the first form. You still cant catch the evo if you caught the first stage. You cant catch the evo even if you fully evolved pokemon faints,You must catch the first stage again and raise it back up. -The only pokemon you can use revives on is your starter. -Can only play for once a day. Anyways, Since I need raikou, im gonna be startin with a squrtile who i will name.....not sure yet. Maybe cannon back? No too long..
Ehh, ill edit it when i start. Training my pokemon after get the Mind Badge. OK just started. Beat my rival and currently training in viridian forest/route2. Jackrat/rattata-lvl3-just caught. have to train. Last edited by GofD on Thu Sep 09, 2010 6:35 am, edited 1 time in total. 9 DEATHS!!!! 9 and I just beat the 2nd gym boy do I stink at this but OJ Simpson survives! Last edited by Wailord_2 on Sat Sep 18, 2010 7:42 pm, edited 1 time in total. i almost got raped at witney and had to sacrafice Pchyco (abra) lo lazy to update. Last edited by Wailord_2 on Sat Sep 18, 2010 7:45 pm, edited 1 time in total. Caught Voltmaster/pikachu in viridian forest. Caught Poisonzila/Nidoran male on route 3. Caught Bob/Zubat in Mt. Moon. Yeah, I'm a huge fan of mindless grinding, so be prepared to look in awe at my crazy progress in levels. Got through Mt.Moon, no deaths. Beat Misty with nuker and voltmaster,nodeaths. Currently in cerulean city/route 24 for training. So the rest of your tweaked rules I can understand, but doesn't this one nearly defeat the entire purpose of the Nuzlocke challenge? Basically, now you're (a) just not using items and (b) disregarding anything that faints. That's still hard, but not nearly as hard. Think about it. You really want a Geodude, like really bad, but the first Mt. Moon Poke you come across is a Zubat. Now, instead of, "Oh well, I guess I'll keep searching," it's, "Damn, I don't get my Geodude ... here's hoping I come across one in Rock Tunnel." That's what lured me into this whole thing. The best Pokes are the least common. INSANE challenge. Not trying to be a jerk, just want to hear your reasoning. The only reason im doin the nuzloke challenge is because i have yet to obtain a raikou. Too unlock the national dex you need to own 60 pokemon. Sure, I could wait until I beat the elite four and then roam around lookin for extra pokes to get the 60, but its easier to catch em when ya see them. In breif, this is just so I can get raikou faster. Does that clear it up? Fyi- You werent being a jerk, I was expecting this question to be asked. Orgil? In my country it means crazy people. Well I'm not in your country =) And I like it. I just beat Roark, Stealth Rock almost did in my Orgil, but Hurr came to the rescue. I'll only post these nicknames if I include them in my active team. I KEEP RUNNING INTO ZUBATS FIRST! 203, Oreburgh Gate AND Oreburgh Mines!!! Last edited by Spoinkable on Wed Sep 15, 2010 8:56 pm, edited 1 time in total. I started this challenge about a week ago and I'll update about once a week. I'm playing LeafGreen and m not doing to bad, right now. 3) can catch multiple pokemon per route; but say if I catch clefairy; I can't catch another one as a back-up, EVER! Currently I've had three pokemon faint (no nicknames because I forgot about it, I'll name them when I get to the name rater). I just got through the S.S. Anne and am grinding bellsprout to evolve before facing Lt. Surge. It's a pain and I can't wait until I box it, or it dies. -I beat brock with squirtle (lv. 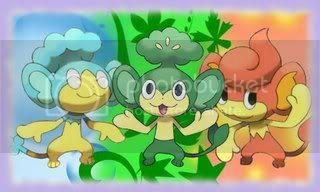 14) and mankey (lv. 13), and I also had pikachu (lv. 7) which didn't need to battle because the previous two tanked Brock. -Caught a clefairy (died while training against replacement paras), a paras (died fighting replacement zubat), a geodude, and a zubat before facing misty and grinded my party to lv. 16-21 for all five, I didn't even face rival yet. -Misty was rather easy, but geodude died against starmie and zubat filled in absolutely pwning Starmie with three critical hit leech-lifes (all reviving 10 hp each, somehow). -Rival was a push-over, all four of my pokemon took one each, with zubat getting abra and bulbasaur, and they all one without going to yellow HP. -I caught a bellsprout just before hitting vermilion and then got a drowzee on the neighboring route where snorlax is by. -Rival got pwned again and bellsprout didn't need to fight, but I did put it against pidgeotto and ivysaur and switched out for some EXP. and free EV's(not really worried about these). once again I'll update about once a week and will not put this much detail into my post the next time. >Both caught in order to get Flash HM. I think I QUIT! I haven't really been Playing Emerald and I don't think I will, if I decide to pick up my Emerald game again, i'll re-join. This is Nakuzami, signing off! Bye! Here's hoping I can nab me a nice Poke or two under the bike path and in wayward cave. I'm gonna be pissed if I catch something that's NOT Gligar and Bronzor/Gible. But we'll see, won't we!